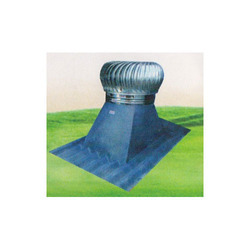 Our range of products include roof air ventilator, turbo ventilator, turbine roof air ventilator, air ventilator with frp sheet, natural roof air ventilator and industrial ventilator. 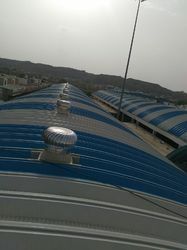 We are the prominent manufacturer of an extensive gamut of Roof Air Ventilator. Used for the exhaustion of poisonous gases, smoke, dust, the offered air ventilator is available in different specifications depending upon the requirement and demands of our customers. 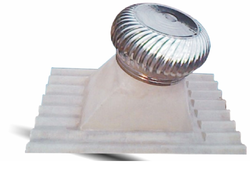 We use finest material for developing this air ventilator along with advance techniques. 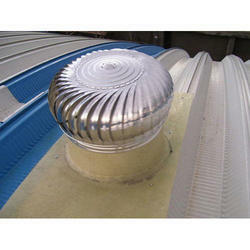 Its is free roatating ventialators provides fresh air in your roof area and does not funnel hot air back into the building. Prevents accident/Firing in the event of Gas leakage. Easily weight robust and strong durable construction resists extreme climatic conditions. 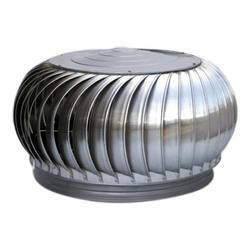 Our firm specializes in offering an innovative collection of Turbine Roof Air Ventilator that is available in varied specifications as per the variegated requirement from our clients. A team of qualified professionals and talented workers manufacture these products by utilizing quality approved raw material and latest tools. Products, offered by us are extensively demanded by our clients for various enormous features associated with these products and can be used in automobile, food textiles, chemical, engineering and pharmaceutical industries.